We are always thrilled to learn there is an upcoming holiday there, as this gives us the chance to not only take a little bit rest from the work and have fun with friends and relatives, but also to embrace a new unique style in terms of fashion, hairstyles, makeup and, of course, nail designs. 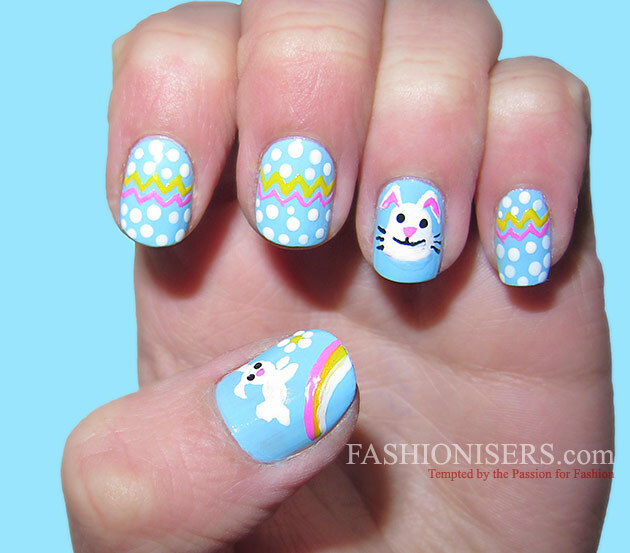 Easter is surely one of the most adorable holidays in this respect, which gives us the chance to turn on our fantasy and go for drop-dead gorgeous nail art designs featuring cutie chicks, funny bunnies, eggs, sweet pastel colors and frisky patterns. 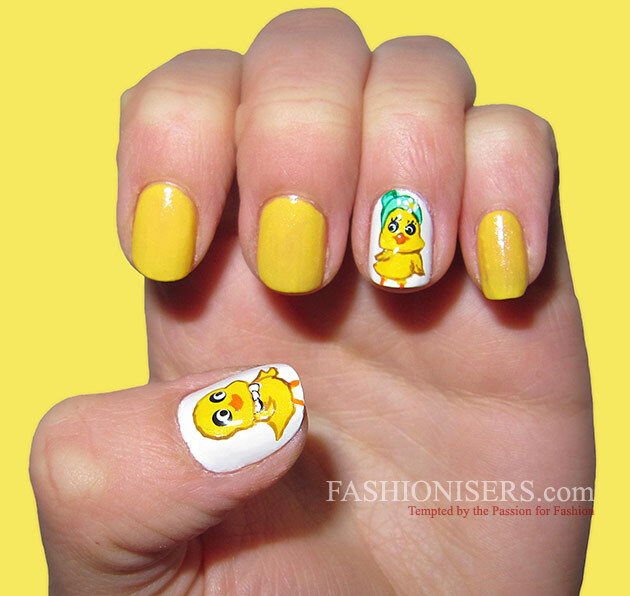 In case you have no bright imagination in this respect, we suggest checking out these 14 absolutely adorable Easter nail art designs that will surely add a high dose of personality and a fun mood to your fingertips throughout the holiday season! 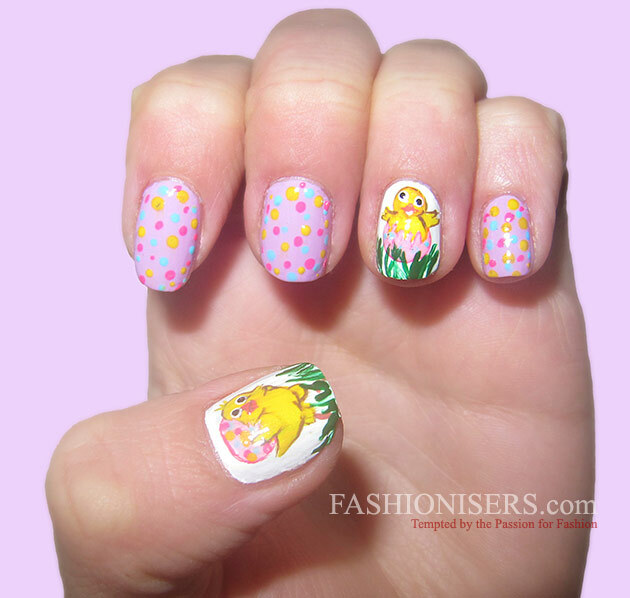 Easter Nail Art Designs: Chicks, Chickens, Chicks! 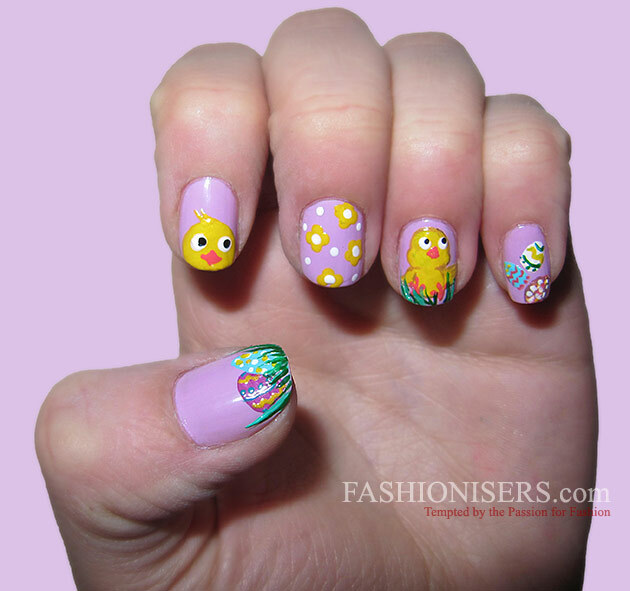 The first and the most descriptive “detail’ of Easter is a cutie yellow chicken, being used for decorating the house, for painting the eggs and for designing lovely nail art styles. You can draw baby chickens hatching from eggshells or ones already out and about in the world. Yellow is the exact color you need to draw these cuties, accompanied with black and red for drawing the eyes and the chicken beak. 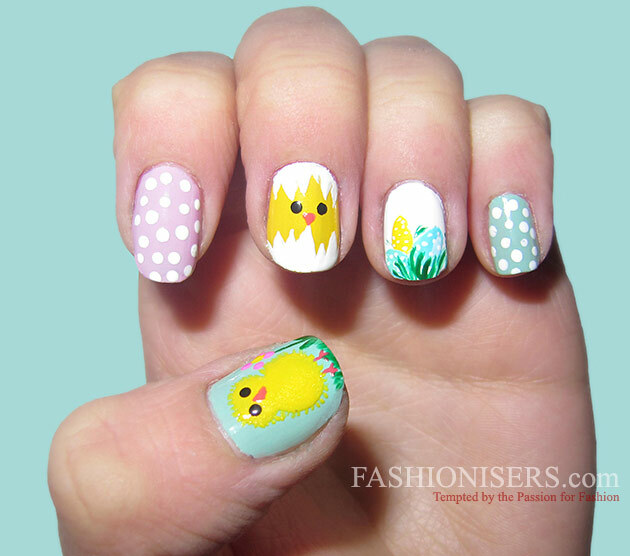 To inject more interest into your nail art design, add some egg prints or a basket full of eggs on one of your nails. Dots, flowers and lovely Easter patterns can also be great accompanying details. It’s also vital to pay attention to the color combinations. In order not to create clashing looks, try to create a balance among bright and pastel shades, using any of the hues as a background and then going on working with the other for drawing the prints. 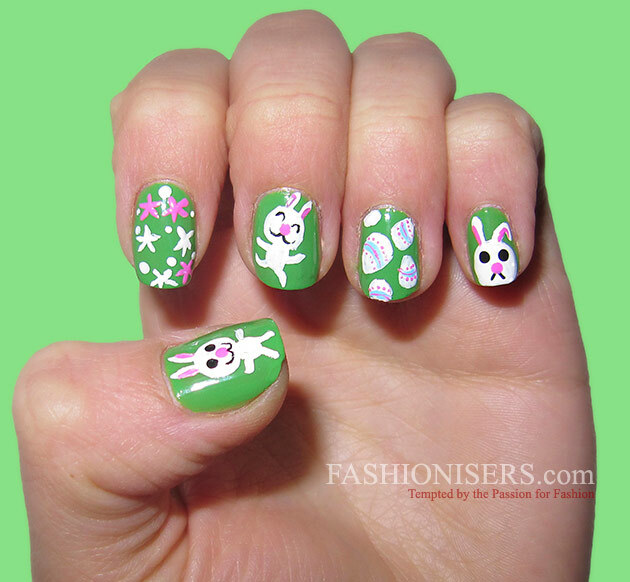 Easter Nail Art Designs: Hop Jump Bunnies! 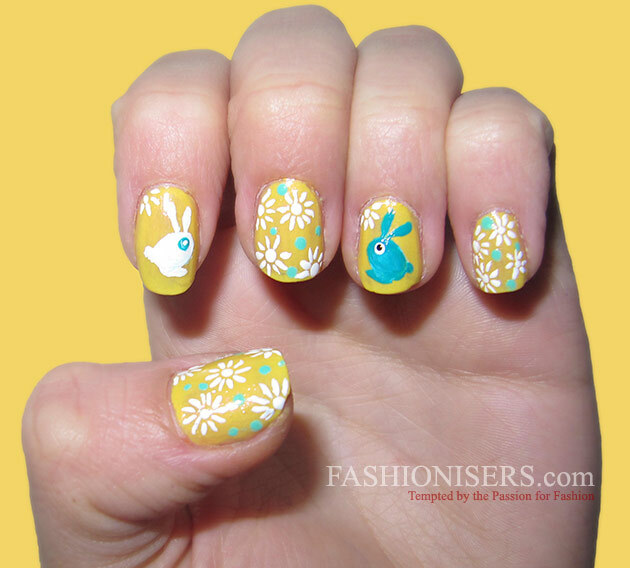 If you want to create a lovely Easter nail art design featuring something other than chickens, go for bunnies! These uber-lovely creatures can be drawn in absolutely dazzling styles and colors, coming matched with their favorite carrots, flowers symbolizing the bright days of spring, their holiday friends – chicks, colorful eggs and polka dots for the maximum adorable effect. For minimalistic, modest looks, just use the bunny print on a single finger, leaving the rest either monochrome or dotted. 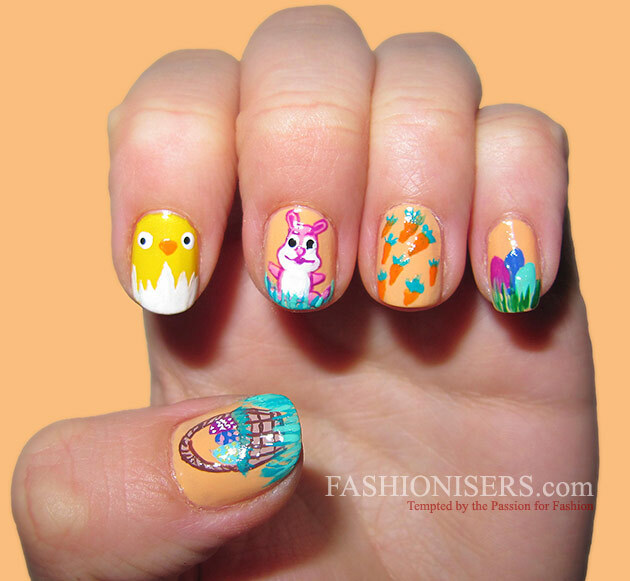 Otherwise, if you can’t decide whether to go for egg patterns, colorful Easter eggs, bunnies or chicks, combine them all in a single nail art design, creating a complex, bright and fun look! 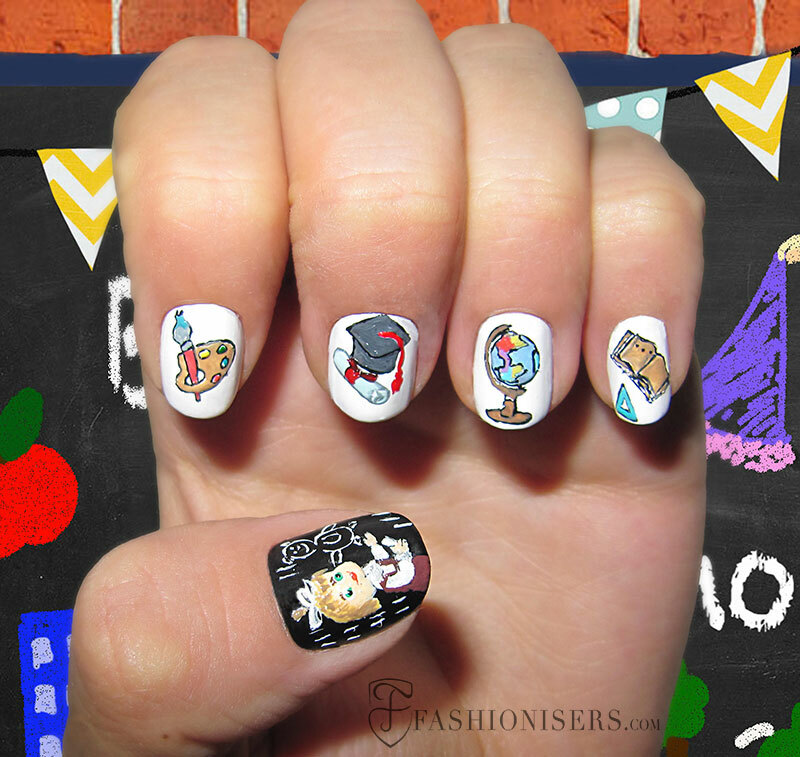 These fabulous Easter nail art designs can serve as the best inspiration for you to have utterly creative, stylish and happy holidays with everyone’s eyes on your fingertips!